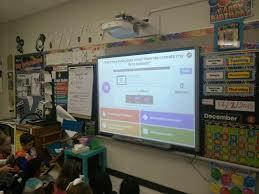 It is used to track students, evaluate teachers and determine a schools' performance. It causes a sense of fear and anxiety for students and teachers alike and can influence funding, ratings, and the housing market. Yes, assessment is the "elephant in the room" and it's not moving anytime soon. Assessment does not need to be something we fear, but embrace. If we chose wisely and use assessment as a tool rather than an end product; assessment can be valuable in identifying key points for designing instruction, monitoring progress and supporting students. Assessment should be thought of as evidence that educators can use to make informed decision about teaching and learning. Use diagnostic assessments to gather evidence about student knowledge prior to instruction. Diagnostic assessments are traditionally multiple choice tests, chapter warm-ups and pre-asssessments that can give you a snap shot of mastery toward previously taught skills and standards. Learning Progressions are important to consider when designing these types of assessments. Spice up your assessment with web tools. Create a virtual game-based assessment using web applications such as Kahoot- or Poll Everywhere to create an online assessment . As much as we love categories to classify information and sort things, being placed in a category can feel strange, obtrusive and just cold and uninviting. Avoid categorizing students into bucket groups that can create a stigma and perception of how they are viewed as a learner. Teachers need to use data and assessment collaboratively. Working in silos does not work. Create a space to continuously meet with colleagues and use data to determine not just students academic growth but also if they are progressing socially, emotionally and behavioral. Looking at data with colleagues can promote collaboration and help determine patterns and outliers in a students' performance. If a student is having success in math and not art, what might be happening in one classroom environment that is not happening in the other? Use Google Tools to share docs and track data with colleagues in a virtual space. Use project-based assignments and tasks to provide students with the flexibility and the ability to work within their zone of proximal development while still targeting on specific standards and grade-level curriculum. With rubrics, criteria charts and targeted goals students can progress at their own pace, and high achieving students can be challenged beyond the traditional assessment. Design assessments to determine what students know and have learned in your instruction. Don't teach to the test, teach to the individual. A good assessment measure will match your instruction and not the other way around. No assessment is perfect! Assessments should be refined, and modified according to students' needs, abilities and it's effectiveness. If the majority of the students' in your class scored poorly on an assessment measure consider your instructional approach, the assessment type and whether it is a valid measure. The best use of an assessment is often the one that is least used, share results with your students, parents, and colleagues; reflect on learning and refine your assessment practice. Post assessment practices are vital to consider. Have a discussion with your students, get feedback using a tool like Google Forms. What if we abandoned thinking about assessment as a means to an end but as a part of the teaching and learning process? What if students "products" (assessment) was part of the process (teaching)? And the products were used to create a community of learners who share knowledge with each other. We need to move to a mindset of assessment as evidence rather than evaluation. Learning is a lifelong process and it doesn't end with an assessment. Join our facebook group to share your ideas or leave a comment below.